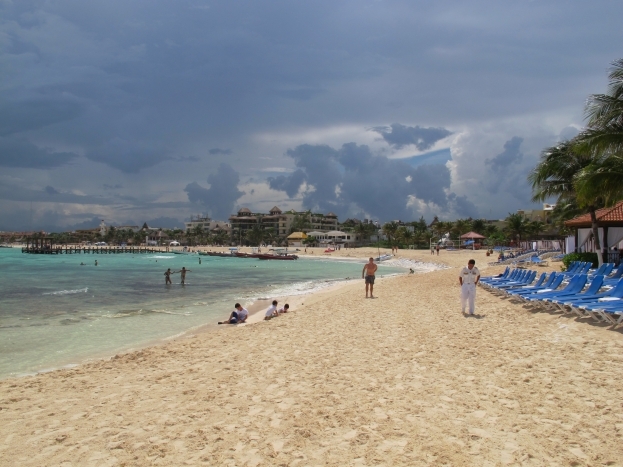 Mexico’s famous Playa Del Carmen beach lies an hour’s drive south of Cancun on the Caribbean. 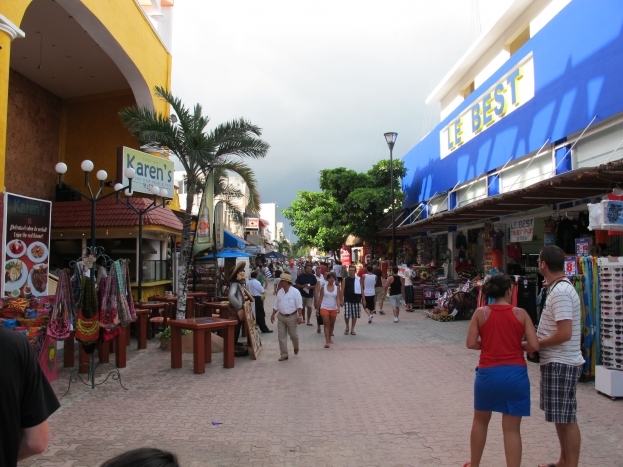 It’s supposed to be more sophisticated and quieter than it’s northern neighbour, but while I can’t comment on Cancun, I can assue you, Playa is anything but quiet. As soon as we stepped out of the bus station, the hard sells began. As if the locals could sense “fresh meat”, they repeatedly hollered out, offering us everything from T-shirts to tours to party drugs. We could even pay $20 to hold a lion or tiger cub for a photo! Our hostel was located just one street back from the main strip – Quinta Avenida – and we quickly worked out it wasn’t going to be a place where we could count on a good night’s sleep. 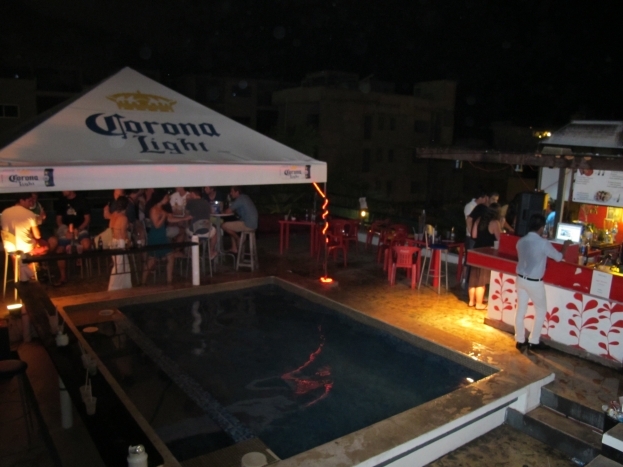 Loud dance music pumped from the hostel’s rooftop bar and their happy hour deals and free drinks for girls from 10-11pm guaranteed everyone was in the mood for some big nights. The barman gave us wrist bands for free entry to the beach’s most notorious clubs, which kept the party going until the wee hours. While it was tempting to sleep the days away, we forced ourselves to get up and take in the local sights. The Caribbean beach was another beauty and we booked a boat to take us snorkelling on a shallow reef, which was beautiful. 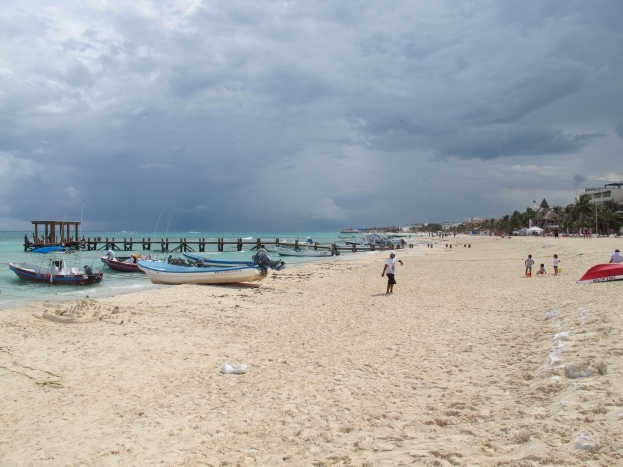 We also took a day trip to Tulum, about an hour’s drive south, which is home to the most beautiful white sandy beach you’ve ever seen, and also some impressive Maya ruins. 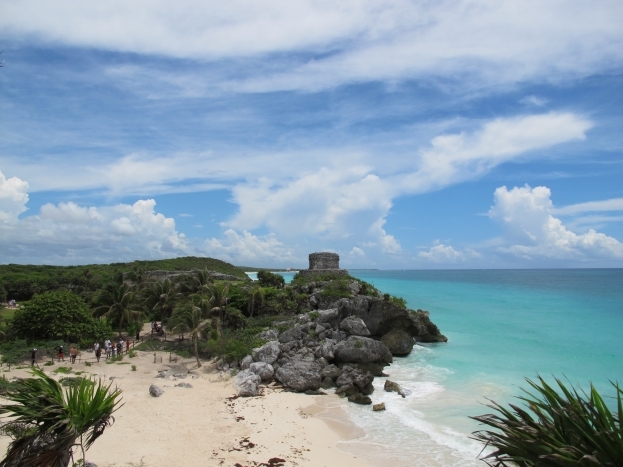 It wasn’t hard to figure out why Mexico’s early civilisation chose to build their empire on this picturesque coastline. From Playa, we’re heading inland to check out the rainforests and mountains – watch this space for more trip highlights.